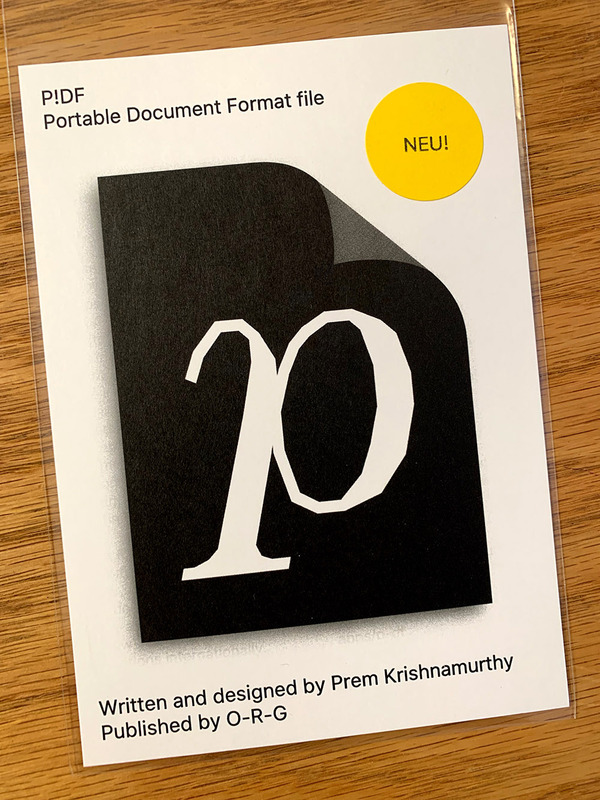 where author and designer Prem Krishnamurthy will launch P!DF (NEU!) and perform an extended reading, accompanied by light Krautrock music on repeat. A genre-bending hybrid between monograph, memoir, and manifesto, P!DF proposes new models for creative practice. Version 5.0.0, a revised and expanded edition, includes *over* 500 pages of new material, including texts, talks, teachings, and tools. For this long-form book launch, author and designer Prem Krishnamurthy will attempt a complete reading of P!DF — a plausible, though perhaps potentially perilous, performance. Drop by for a drink and to purchase the new publication.